CCHC Members at the Benge Cemetery Marker Dedication. Call or simply drop by from 1:30 PM to 4:30 PM on Monday, Tuesday, Wednesday, of each week. We are located just off the Square in Rusk, Texas, across from the Post Office. Our monthly meetings are open to the public and are the 4th Tuesday at 5 pm at our office in Rusk. 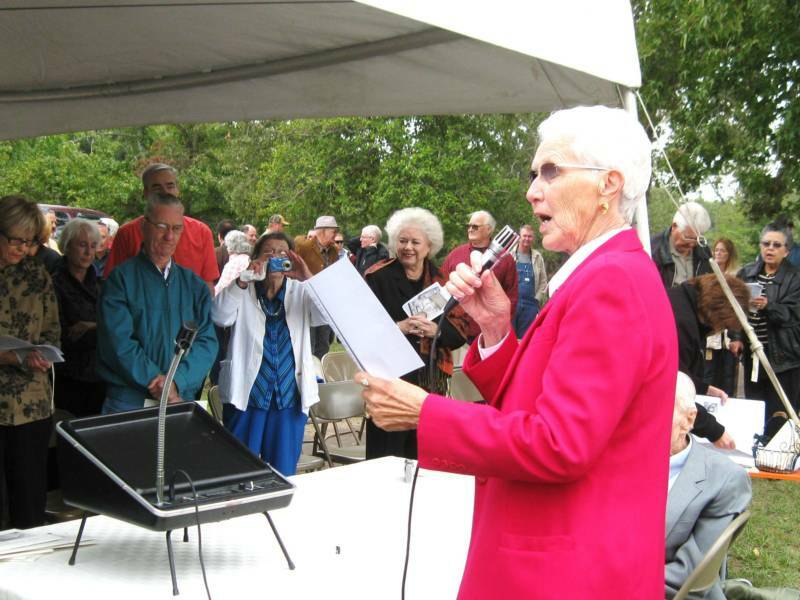 Benge Cemetery Marker Dedication, 2009. 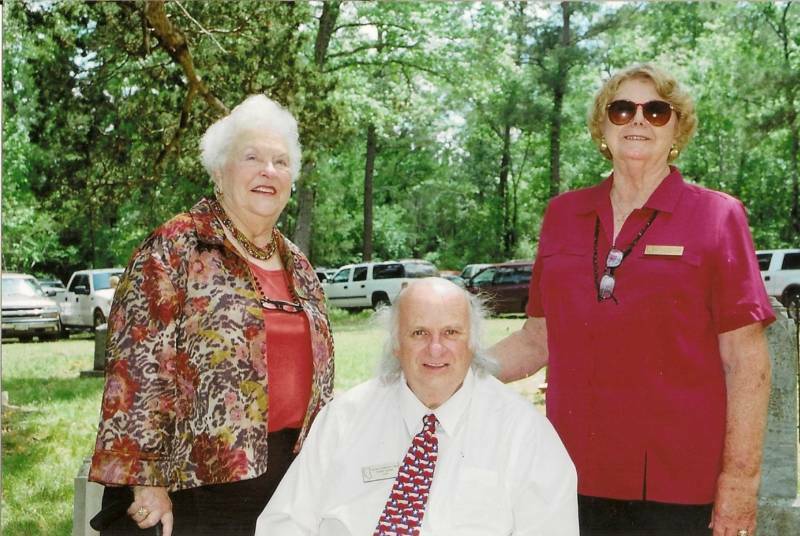 Left to right: Former CCHC members: Mary Taylor, Terry Guinn and Guy 'Butch' Holcomb. 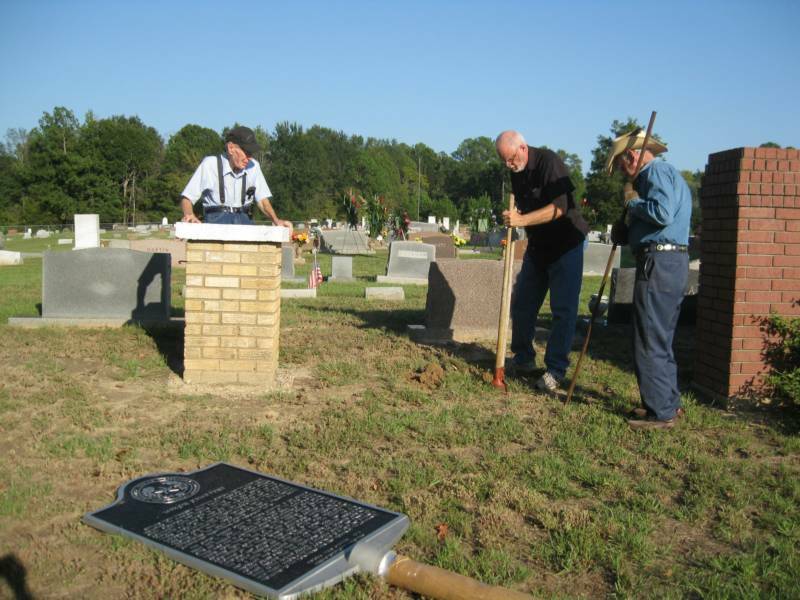 Digging the hole for the Mixon Cemetery Marker. Left, Elray Partin, Cemetery Association President, John Thomason and Shelley Cleaver, CCHC members. 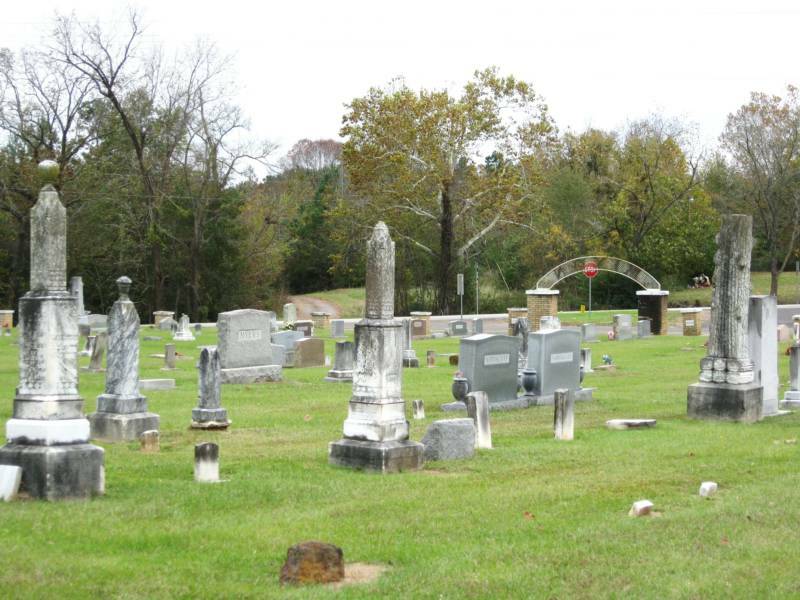 Mixon Cemetery-many old graves are marked in this historic place in northeast Cherokee County. 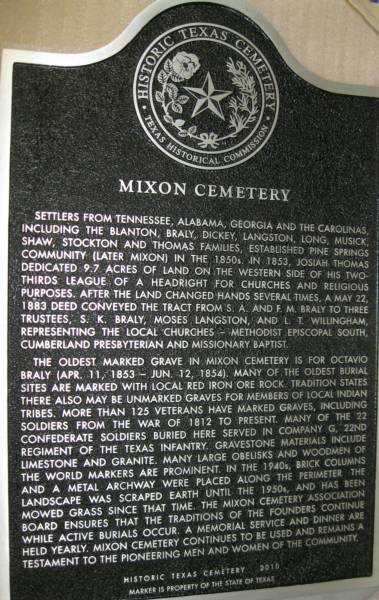 Mixon Cemetery Marker Dedication Day. Ruth Stone Sheppard leds a group singing of "When the Roll is Called up Yonder". 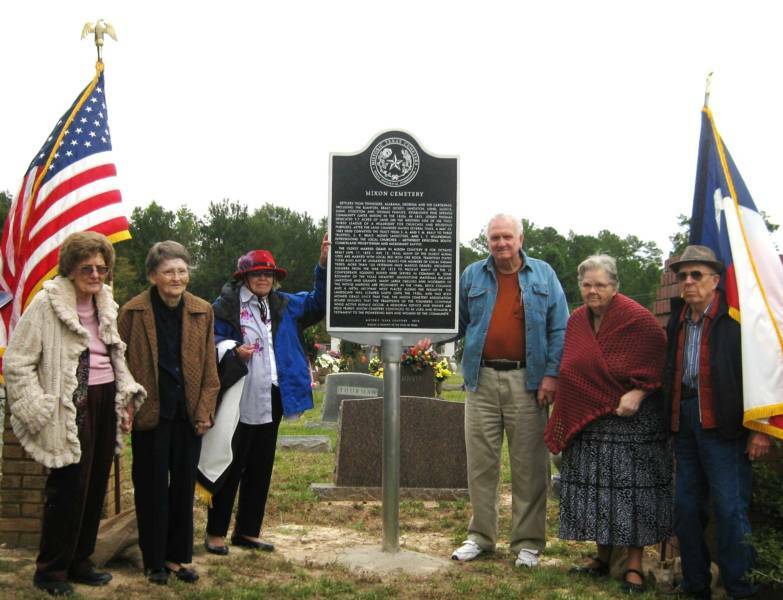 Oldest living descendants of those buried in Mixon Cemetery. Left to right: Ruth Cole, Navoleine Roddy, Mae Gene Pettit, the Willingham brothers and Vivian Hendrick. 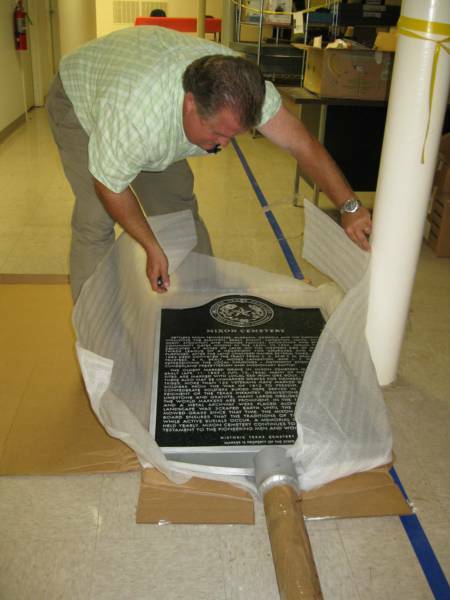 Judge Chris Davis helps to unwrap the Mixon marker. Yea! It's finally here! 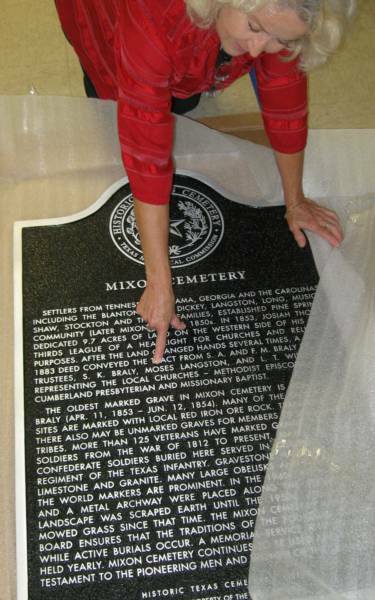 Left above: The maker with the history of Mixon Cemetery. On right above: CCHC member, Deborah Burkett wrote and submitted the two part application to the state to get the hisotrical marker for Mixon Cemetery. Deborah is seen pointing to the name, Moses Langston, one of her ancestors. 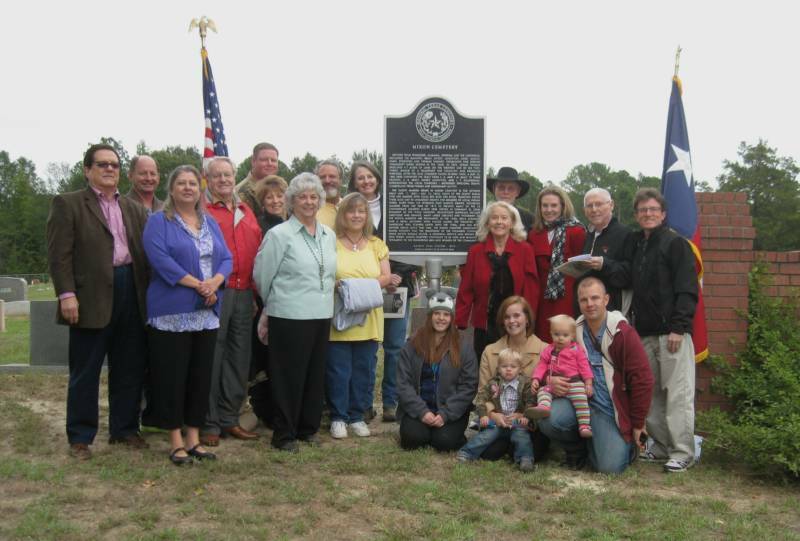 Langston, Armstrong, Braly and Long descendants gather for the Mixon Cemetery Marker Dedication--October 2012. Many traveled from out of state--Arkansas, New Mexico and Louisiana to be at the dedication.